Writer's note: I originally intended to submit this article to French Toast Sunday. But then I realized that it sort of made no sense/didn't have a strong theme/was garbage. Plus Badass Digest recently did a similar article, which I must have forgotten about. So I scrapped it. But then I thought, Hey, me, why not post it on your own site, since you put so much work into it? I patted myself on the back and trudged ahead. Sometimes, films face an uphill battle to get released. Movies like Tucker and Dale Vs. Evil and Cabin in the Woods are both genuinely good films, but they struggled to see the light of day. Likewise, some films come and go on the big screen, but unsatisfied filmmakers try to release a perfected version on home video. So, without further ado, here are five horror films I want to see but haven’t been released...yet. Release Status: Due on September 23, 2014. Now’s as good a time as any to tell you that this list is mostly about *versions* of films that are unreleased. Case in point, Halloween 6 (which was released in 1995 if you’re playing along at home). There’s a better cut out there. This movie was pretty much screwed from jump street, so much so that the history of the film is sort of hard to follow. The flick had eleven different drafts of the script and producer Paul Freeman and director Joe Chappelle rewrote the film’s ending on set. After the filming and editing was done, a test audience didn’t like the movie. An entirely new ending was shot. And, unfortunately, Donald Pleasence, the man who had played Michael Myers’ nemesis Dr. Loomis, had died between wrapping photography and the reshoots. The Producer’s Cut actually started making the rounds in bootleg format mere months after the film came out. And while copies have been lurking like Michael Myers himself for years, an official September release was just announced by Scream Factory as part of a Blu-Ray pack. Release Status: Due out October 28th, 2014. Nightbreed may have one of the craziest backstories of any horror film ever. Twentieth Century Fox gutted the film before it was released in 1990, cutting a lot of graphic violence, removing scenes, and changing the ending. This resulted in a film vastly different than what director Clive Barker had set out to make. They also strangely advertised it as a straight up slasher film. Now mind you, I’ve seen this flick and it’s by no means rare. However, a lot of the footage cut from Barker’s original film has been showing up for years now bit by bit in the form of VHS copies of the film. Eventually a new cut of the film was assembled from the DVD and lost VHS copies. 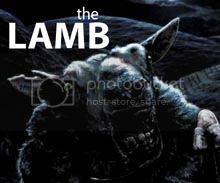 This version of the film is known as “The Cabal Cut”, named after the source novel. In July of last year, Clive Barker himself announced that Scream Factory would be releasing “The Cabal Cut” on DVD. Hurrah! But WAIT! 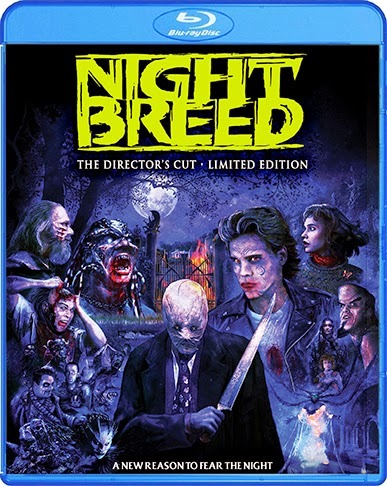 According to Shock Till You Drop, the version of Nightbreed we’re getting is “The Director’s Cut”, a version that’s slightly more refined than the “everything but the kitchen sink” Cabal Cut. Can’t we still call it The Cabal Cut? That sounds a lot cooler. Production on Area 51, a found footage film about reporters who visit the titular secret base, began all the way back in 2009, shortly after the success of director Oren Peli's Paranormal Activity. As of August of last year, Peli was still “tinkering” with the film. I can see the appeal for Peli - same principle behind Paranormal Activity, except with aliens. But maybe the film is no good? Or maybe he’s content to ride the PA train? Who knows. Release Status: Probably never coming - I essentially made this up. Again, this one’s a bit of a cheat. I’ve seen this flick - in fact, I proudly own it on VHS (but not the one with the cool coffin-shaped box). Artisan Entertainment even released a DVD in 2003, but it went out of print. What I’d really love to see is a restored version on Blu-Ray. I thought this would maybe happen when the remake came out, but, no dice. Release Status: The film's IMDb page claims it'll be released on October 3, 2014 but, who the hell knows. Man I saw a preview for this thing YEARS ago. And it still hasn’t seen the light of day. 7500, a movie about a ghost on a plane (because why not), was first planned for release on August 31st, 2012 and then moved to April 19, 2013. Finally, according to actress Scout Taylor-Compton, it was supposed to come out in October of last year. Takashi Shimizu is behind this one, he of Ju On and The Grudge fame. I’m extra jazzed to see this one, because I’m a sucker for plane films (and movies that get off on being withholding). I’m not sure what the deal is with 7500 star Ryan Kwanten. Knights of Badassdom featured the actor as well, and that film was heavily delayed (sadly, for good reason - cast was top notch but the film was terrible). I guess time will tell if this flick is any better. Are you looking forward to any of these? Are there any other lost or delayed films you want to see? Robert, despite your insistence that this list is garbage, you've got my interest piqued on a few of these. Also thanks for piquing my interest on stuff I can't actually watch. Sorry! I'll loan you my Fright Night VHS. :) Thanks for reading! I almost pooped my freaking pants when I saw the Fright Night 2 Blu-Ray you... you... YOU!!! Sigh. WHY HASN'T THIS EVEN BEEN PUT OUT ON DVD!?!?!? Love Fright Night 2! I genuinely thought it was as good as the original! Sorry to get your hopes up, Derek! Maybe someday. There are supposedly copies on Amazon for like, $400. Not sure what the deal is there. Thanks for reading! Cheap Horror Movies Shop for Horror movies at Amazon.com. Find your favorite horror flicks, scary movies, and thrillers on DVD and Blu-Ray.